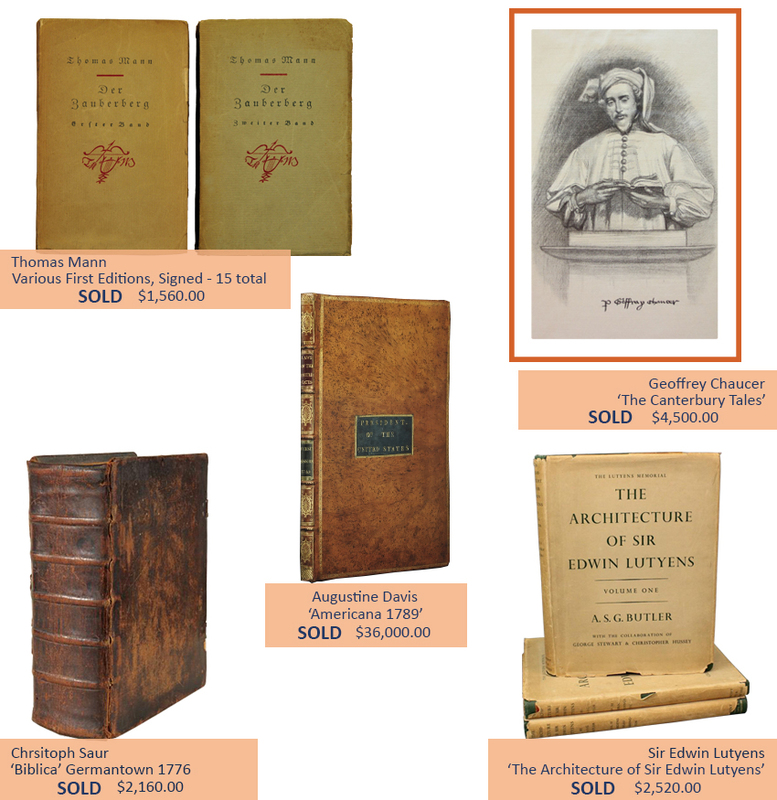 Alderfer Auction specializes in selling rare important books and ephemera. Located in the suburbs of Philadelphia, we have developed a strong, thriving market for all areas of interest in the rare book and ephemera buying community. Alderfer has cultivated an expansive network of active buyers that span the globe. We host three or four book and ephemera auctions annually. Auctions typically have 400 to 600 lots, including ephemera and postcards dating from the 17th to the 20th century. They encompass a large variety of rare books relating to all subjects including first and limited editions, early leather bounds, atlases, manuscripts, autographs, advertising, Americana, Pennsylvania German and more.